AT SUNDOWN: Shots in the Dark is ranked in the 25th percentile of games scored on OpenCritic. Sadly, I’ve found that the local play with bots or a couple of friends is the only way to truly enjoy the game at the time of writing this review. Luckily, however, that’s a common occurrence and I’m more than happy to sneak my way through the shadows, besting a pal, through the chaos that ensues match-in and match-out. 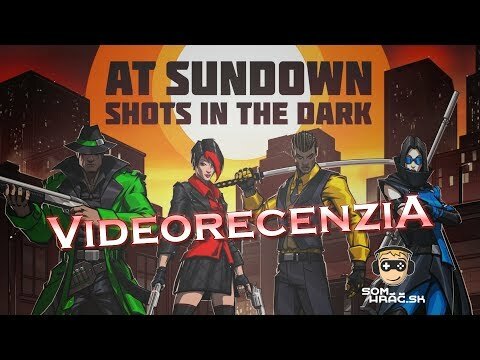 Honestly, At Sundown: Shots in the Dark can be a rather entertaining party game, so if you enjoy multiplayer titles like this, then you should have fun with it. 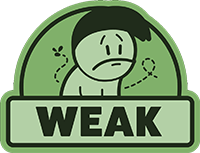 If, however, you’d prefer to play solo, you may want to pass, as taking down bots can become quite dull after a while. GOOD - At Sundown: Shots in the Dark is a fun multiplayer shooter in the tradition of many that have come before, but with one heck of a twist, ya varmints. This one should be great to break out at parties for some quick shooting action. At Sundown is a game full of style and substance. It has a unique artistic style with terrific character models and well designed maps. Some can be a little small, making movement even more difficult than it already is but there’s plenty to like and is a fun party game if nothing else. At its core, At Sundown is an entertaining indie game that is fast-paced and fun without requiring a hefty system to run it. Its main game mechanic of using light and shadows is interesting, but the lack of ability to see where your player is can stifle the enjoyment of the game itself. At Sundown is an innovative and enjoyable competitive shooter but it could definitely use more balancing and finer tuned online play. At Sundown Shots in the Dark is fundamentally a good game. It has a quirky retro graphics, some intelligent design and I'd happily give it another try on the PC. The game offers you so many different things to do such as levelling up, new maps, new modes and new guns and effects meaning you could sit and play for however long suited, although it did get very repetitive and not very enjoyable after a while for me, well four games to be exact. This could be the case it just wasn’t my game, or maybe the fact that despite sitting in lobbies for hours - coming out and then re-entering again I never once caught another online player and therefore had to sit and play training, or wait on people coming around to see how we enjoyed the game - we ended up turning it off after testing the maps to see what we liked (spoiler, there weren't any we liked). There are 18 different maps on the game if you can sit and play training games to your heart's content to get all of them unlocked, then go for it! I sure couldn't hack however many hours it may take for it.I believe this game could of worked out really well if there were more people who played and you could actually get into an online game, You can play against bots so you could just play that way but I think the value for money with only having access to local play and training just wasn’t enough for me.